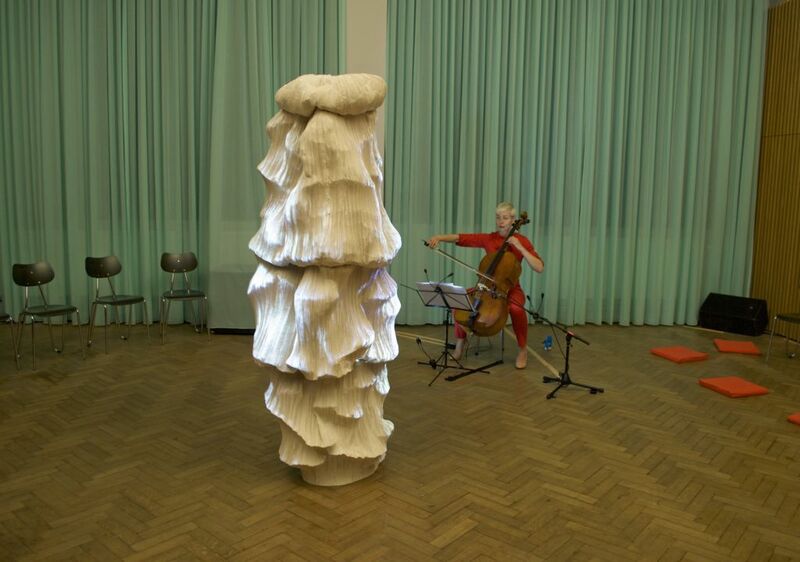 COCON is a multimedia project by BouwmeesterDonck – a collaboration from composer Dyane Donck and sculptor Iris Bouwmeester. The pictures show the try-out at Poetry festival ‘Liefde tussen de Lijnen’, De Grote Post Oostende (Belgium). 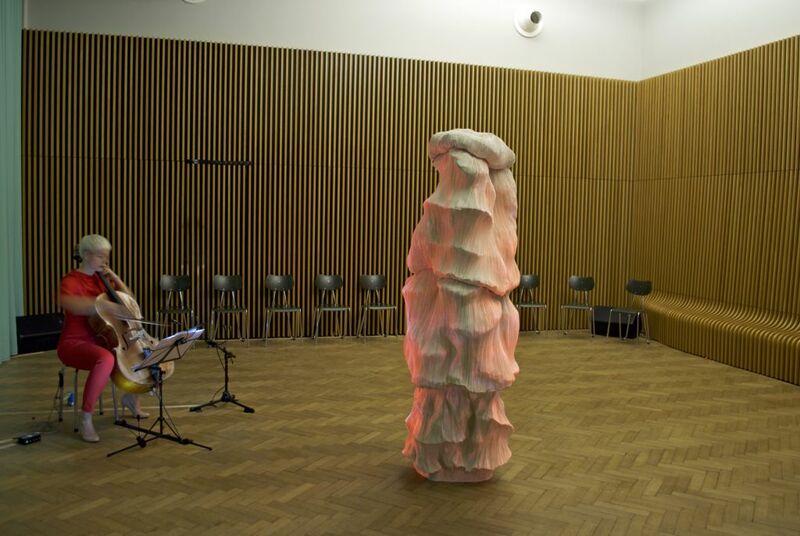 With their installation and concert experience COCON, composer Dyane Donck and visual artist Iris Bouwmeester subtly sidestep the boundaries between installation, performance, contemporary music and film. At the heart of COCON is a sculpture that’s brought to life, dramatically changing in form, colour and mood. 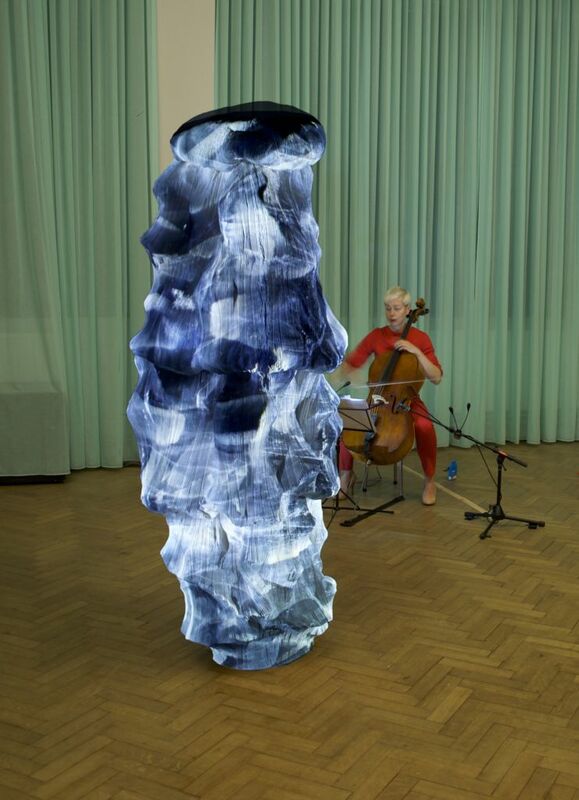 These changes are commanded by a score for cellist Jacqueline Hamelink, combined with an electronic soundtrack. The ambient imagery was made by Ruud Terhaag. Climate changes are the inspiration for the psychedelic soundscape and the magical image of COCON; in spite of their potentially traumatic effects, there is beauty to be found in the dynamics of these processes. Your breath stops short as the temperature drops. 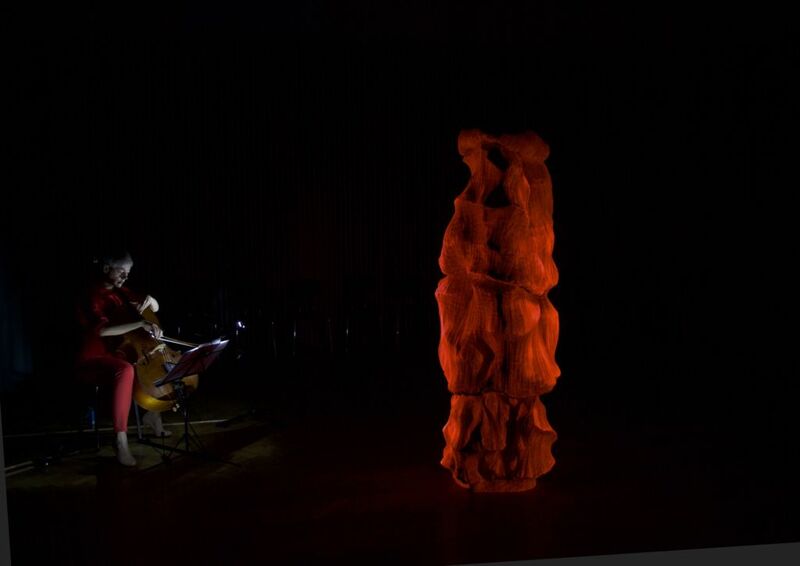 The sounds of the cello and the quadriphonic soundtrack merge into each other and surge. The audience is taken on a fantasy trip into the unknown. It’s spooky, but serenely beautiful all the same.